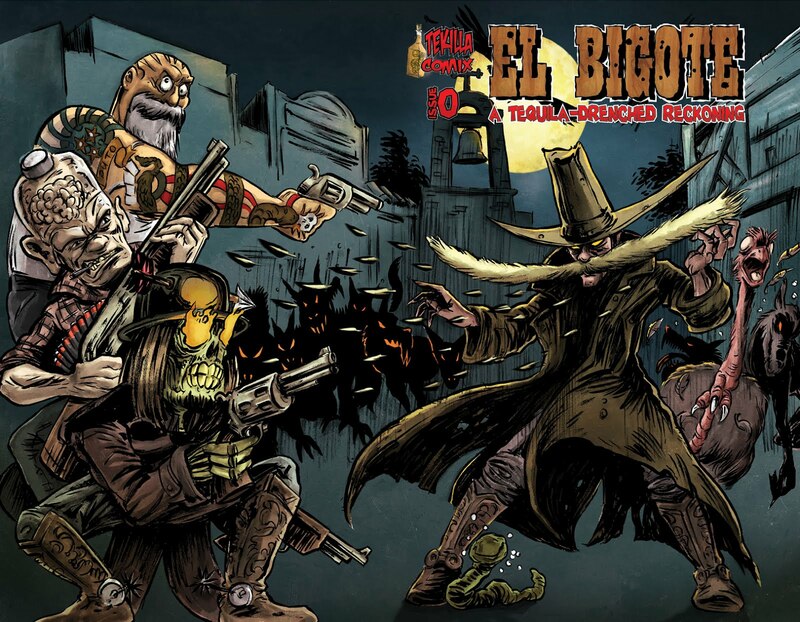 El Magnifico Chivo's Art Blog (n Stuff): El Dia Del Bigote! It's getting very close to the release of my first ever comic, written by Matthew 'Locust' McLaughlin & illustrated by me, lettered by Dave 'Bolt o1.' Evans who also contributes artistically aswell as Owen 'Foxy' Watts, Christopher Geary, Stewart Davies, 2000ad's own Grant Perkins & last but not least Matt 'Grimm' Soffe who inked & coloured my pencils for the wraparound cover (as seen here) & done a beautiful job of it! 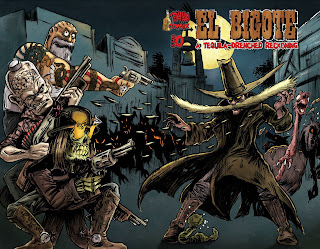 You can keep up with the latest on 'The Blogote' where Mr. Locust will keep u informed of all the latest in the world of undead quill-shooting mayhem!